In this defect, the muscle wall of the left ventricle (the heart's main pumping chamber) is weaker than normal. As a result, the left ventricle may become enlarged (dilated) and the ability of the heart muscle to contract is impaired. 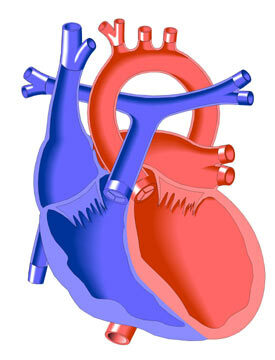 There is also slight enlargement of the other heart chambers. The cause of Dilated Cardiomyopathy (also known as Congestive Cardiomyopathy) is not known, though it sometimes results from a viral infection, cancer chemotherapy and is sometimes inherited. It may be associated with the genetic disorder known as Barth Syndrome.